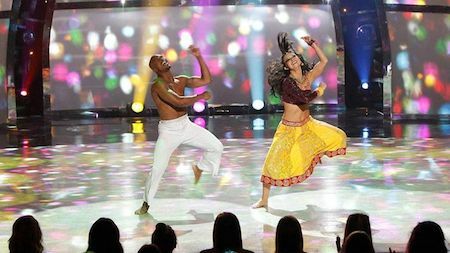 Season 11 of the dance reality show So You Think You Can Dance (SYTYCD) featured not one but three Bollywood pieces by the Bollytastic choreographer Nakul Dev Mahajan! We were lucky enough to talk with him about Ricky and Valerie’s wonderful piece to ‘Dilliwali Girlfriend’. Now we get the scoop on the other two numbers because the fabulous choreographer took time out of his busy schedule not only after the Bollywood Disco number but also last week’s Ghagra to chat with us! With the SYTYCD finale tonight we present Nakul Dev Mahajan on all things SYTYCD Bollywood in this exclusive interview! I think for them to make it more interesting or different they added a disco phrase to it, as So You Think You Can Dance’s first disco Bollywood number. I think not for the Bollywood fans out there but for the rest of America, the general public, to bring something new in. I think the producers wanted to spice it up a little bit and add a different anecdote to it rather than it just looking like another Bollywood number. It makes sense this way. The way I see it is that the producers are allowing me to theme up the numbers a little bit with this different genre of dance. I think, for them, having another fast paced, niche type of dance style and fusing that together with Bollywood is their way of saying we are allowing you to spread your wings a little bit. Have fun with it. We all know that Bollywood is everything under the sun now, but I think this, for me, was a little crack in the door of them saying okay, you want to make it more disco that is fine. I am hopeful that I will be given permission to bring other interpretations of Bollywood dance, which I choreograph regularly for my students and company dancers at NDM Bollywood Dance Studios and Productions. I can give you an inside tidbit. This was an idea I actually pitched four seasons ago. It was actually an idea with my great friend Doriana Sanchez, who, as you know, choreographs the disco numbers on SYTYCD. She is currently really busy going on tour with Cher. She is the choreographer for all of Cher’s concerts. She is a wonderful lady and is one of the first people I became friends with on the show. Many times we were on the same show and we would say they really see Bollywood and Disco as two fast styles of dance. Wouldn’t it be fantastic if we combined it? It would be really fun to work together. About a year later that ‘Discowale Khisko’ song from Dil Bole Hadippa came out and I called up Dori and said, ‘There’s a song, I think, you’re going to like a lot that we can pitch to the producers to make this happen as a group number.’ Now clearly the group number never happened, but they kept the song. Fast forward into this season, they remembered that song and they asked if I would be able to do it do Bollywood and disco together. This is Jeff Thacker, our guru. He said, ‘This is your chance to combine a different style, which I know you do anyway, but really showcase this different style and genre within Bollywood.’ I was really glad it happened. I really saw it, in the end, Stacey that now there’s a little crack in the door for me. It’s only going to get bigger – it’s all about baby steps. I have a really good feeling about this that they are going to allow me to start doing different things now because this one went off really well. I thought they were so good. Bridget was great. She was a strong dancer and I think she did a really good job. She was very fun to work with. Brandon was fabulous. He was working with me with a shoulder injury all week. He was not in good shape at all. He just bit the bullet and he never complained even once. He was in a lot pain that week but he was really a professional and he did it. I was really happy with the number. It was a challenge especially because I’m not a disco dancer. It really was a lot of trial and error of finding certain moves that would go together with Bollywood. We worked out a lot of the lifts with Brandon and Bridget on the spot in rehearsal. I had pictures of what I wanted to create. For example, I definitely wanted an over the head lift, so we figured out should we do one arm, should we do two, how do we get into it, how does she come down, things like that. I had a vision in my mind and then we created it together. There are signature disco moves that we’ve all busted out at the party that I threw in there. (Laughs) Something I like to do is tweak the arms and give them an Indian flavor. Keep the silhouette of legs and the execution of how you get up there and how to dismount out of it and what you might be doing in a lift, but then really tweaking the hands, because the hands are sometimes free. That is always fun. It gives it that really different ethnic flair to it. I love that. You don’t see that in our Bollywood films. In fact, you don’t see this lifts at all because the actresses can’t do them because they’re not professional dancers nor are they supposed to be. (Laughs) It is nice to see that. I think that is something special that I feel very lucky to be able to do on SYTYCD – to do the fun lifts and tweaking the arms to make it very different. Except for the lifts, I wanted the disco sections to be more on the easier side and more filler because I knew the Bollywood stuff would be crazy. It had a lot of Bhangra in it because the music has that strong Bhangra beat. The song is very Punjabi inspired, which is my territory. It was a great marriage of the two. I think it really worked out. I was very humbled to find out the day before the show, that the producers were placing it as the first number of show again. We just had Valerie and Ricky opening the show in their week and we are opening the show again. It is such an honor. There are so many emotions. First and foremost it is such an honor. It’s a dream for so many choreographers to be on the show. I am very grateful for it. It is very stressful. We are dealing with a lot of pressure because we want the best product to be out there, knowing that there are millions of viewers watching. Knowing that these kids want to be on the show the following week and we are catapulting their dreams, hopefully. We’re sometimes, if not most of the time, responsible for their fate. You often are feeling that you’re holding this child’s dream in your hands. That is a lot of pressure. No one wants to crush someone’s dreams that they have had since they were a kid. I think these are all different things that go through all of our minds. We’re not thinking of making this dance the best for own selfish reasons. We are trying to make it the best because we want the show to be strong. Because we want the dancers to last the following week. The bonus is at the end if you recognized for it. It is a whirlwind for sure. Then when it’s done and you see your product and the dancers are smiling and the audience has loved it, the judges say nice things and the majority of the people in the public have nothing to say but praises then you feel very validated. It is a reward and it becomes a gift. That is what my experience has been. I’m very fortunate that they keep bringing back Bollywood and I hope they do for many seasons to come. My dream Bollywood number would be doing an all girl Mujra. I would love to do that. I think visually it would be different for America to see a more smooth, graceful and elegant Bollywood number with the intricacies of the hands and maybe a little footwork. The costume would be very different because the Mujra or Bollywood courtesan is very covered. There is not much skin showing in that one. I am Kathak trained so I would love to do that! I would love to do a slower group number. I think a slow Bollywood couple number might not translate well because of the language barrier, unless it’s choreographed in a very western contemporary way. I’ve seen some slow Bollywood contemporary numbers on Indian reality programs and they are beautiful. However, I don’t think America wants to see a slow Bollywood contemporary number. Why would I want to even attempt to do what Travis, Mandy and Stacey do so excellently? But doing a Mujra would be pure Bollywood storytelling that is usually on the slower side. I would love to do something like that. I think America would appreciate it in a group setting. It felt really great to be asked again but I wasn’t as prepared for being on again. Sometimes the producers do give us an idea of when we might be on so I knew I would be on at least two times, but I wasn’t sure about the third. When the opportunity arises I never pass it up unless I am completely bound or contracted to something else. When they told me that there was a possibility that it would be the two girls or the two guys I was very, very excited so I made it work and opened up my schedule so I could fit it in. This week, especially, was a whirlwind for me. There were a lot of obstacles this time around. It wasn’t as smooth as the ‘Dilliwali Girlfriend’ piece. It wasn’t as smooth as ‘Discowale Khisko’. Not in terms of the dancers, but in terms of making it happen and what happened was that my music didn’t get cleared. I had to go with different music. I found out that I had two girls but I wasn’t sure if it was going to be contestant – contestant or contestant and all-star – I had no clue. I wanted to do ‘Nagada Sang Dhol’ from Ram-Leela. I wanted to do something a little more traditional and folky because the other numbers this season I felt were a little bit more on the modern side. So that song was perfect and it would have been so wonderful. I moved forward and choreographed it. I won’t disclose exactly what the story was and what I wanted to incorporate because I have high hopes that this will happen next season… So it was set and I was very happy. I thought it would be something very unique for the show in terms of an image I had in mind. I was really behind it and very, very committed to it. Literally, I kid you not, less than 12 hours before my rehearsal I was told by the music department of SYTYCD that works endless hours to make sure all songs are cleared, that my song did not get cleared for a ridiculous reason. I don’t like to call out people because that’s not what I do, but I think it is important for your readers and the audience to know that this process is not easy at all. Music obviously needs to be cleared before you can use it. The process is not a quick turnaround. And when you are on in a somewhat of a last-minute decision situation it is a bit more of a challenge to get the music cleared. Especially if it is overseas. I know that there are a lot of satellite offices or there are branches of the Indian labels that are US-based. I know that Yash Raj and their music department have a branch in New York. I didn’t know that Eros has a New York branch as well. To get the music cleared, they reached out to the office and the main representative and I don’t know the correct term for his title that signs off on the music was on vacation and was not available. The person that was next in line in charge would not disclose his information and would not get him on the phone. This person refused to see the largeness of not clearing this song and wasn’t any help at all. I don’t really understand if you are the head of the department and you are the person that signs on the dotted line to clear music I would imagine that you would always be able to be contacted. I don’t understand how that would happen in this day and age. The person that was there did not want to help and gave the music department of SYTYCD the run around saying our hands are tied and that was that. It was very frustrating for this person to shove, so quickly, this request aside without seeing the bigness of what SYTYCD is. SYTYCD now airs in 67 countries. If you think about it and what that number is of people watching that is huge. I think it is very arrogant of this person to think that ‘Nagada Sang Dhol’ is not worthy of 67 other countries to listen to and to experience. I was, of course, livid on many levels. One, because now I have to choreograph something else within 12 hours. Note that when I found out it was at night, it wasn’t during the day. And secondly a little embarrassed because the team that is working for Eros is South Asian. I wanted to say to him, “Do you not get this… this is on American television. This is our music and our cultural identity that is continuously being exposed and featured and celebrated on national television.” That just angers me. It upsets me and it makes me feel embarrassed. Then we hit the second obstacle, the fact was that we were 12 hours away from my first rehearsal and there is nothing that can be cleared that quickly. So I was going to have to use something that had already been cleared. They gave me the option of using ‘Ghagra’ because ‘Dilliwali Girlfriend’ from Yeh Jawaani Hai Deewani had already been cleared. There was also ‘Chammak Chalo’, which I couldn’t imagine two girls dancing to and the other was ‘Balam Pichkari’, which did not work either, because that is more of a cat and mouse game and a guy needs to be in that number. Since it was a girl-girl number, out of the songs that I could use ‘Ghagra’ was the best. So I went with what I thought was best. I knew that I could make this work. My though was, this may not be the ideal song for two girls but I can use this opportunity to showcase a different kind of Bollywood. Something girly, something more feminine and not have it be such a battle and for a change, not a cat and mouse game. Then and here’s the best part… I get the schedule and I ask, “Have the hours been cut in half for rehearsal time? ?” “Oh Yes…” “Why? ?” “They are doing six pieces each in one night”. Yes, Valerie, Zach, Ricky and Jessica had to dance six pieces in that live show. Because of that they had minimized all the rehearsal hours to fit everything in. So I got a total of five hours with them and that includes everything including the rehearsal on stage. So that was my week Stacey! It was very stressful. The first rehearsal was very short. I only got an hour with them in that first rehearsal because that is the one with cameras and that is the one with interviews. You can’t do a lot in that first rehearsal with the cameras because you don’t want to waste time. You want to show all the juicy, meaty stuff in your package. The second one, I believe, was two and half hours and everything after that was a half an hour here, 20 minutes there and then they were on their own. It was definitely a very challenging week especially when we are doing a number that is more classical or folk based that actually would take more practice. I find, and I’m sure you would agree with me, that the Bhangra numbers are a little bit easier than the classical steps because it takes years and years to master all of that. The irony of it is that the week that ends up having the least rehearsal time ends up being the one that I decide to be a classical/folky number. I think, and this sounds so cliché, but I think everything was just meant to be. I think it worked out that they did do ‘Ghagra’ and this piece, because I can tell you the number to ‘Nagada Sang Dhol’ was going to be a lot harder and more challenging because of the percussion and the power of that song. With that amount of rehearsal time they probably wouldn’t have been able to do it. So maybe it was just meant to be that ‘Ghagra’ was the one that they could do and especially to balance all the other numbers they had in the show. Considering all the challenges I thought that they did great. It was a different kind of Bollywood number. With their faces, I think there were moments where they did capture what it was but there were times… You know I always want more from my dancers and I am sure they, as dancers, will look back and say yeah we could have done this better or we could have done that better. I am total perfectionist. So facially, I thought there could have been a better performance with what they were serving. Movement-wise it was so much better than what it was in the morning. Could it have been sharper? Absolutely! We are asking two girls who have never done Bollywood to throw out classical mudras as if it was something innate to them and something they have done their whole lives. Now if this were the only piece they had to do I probably would tell you they could have done better, but they had five other numbers. I think they did great. 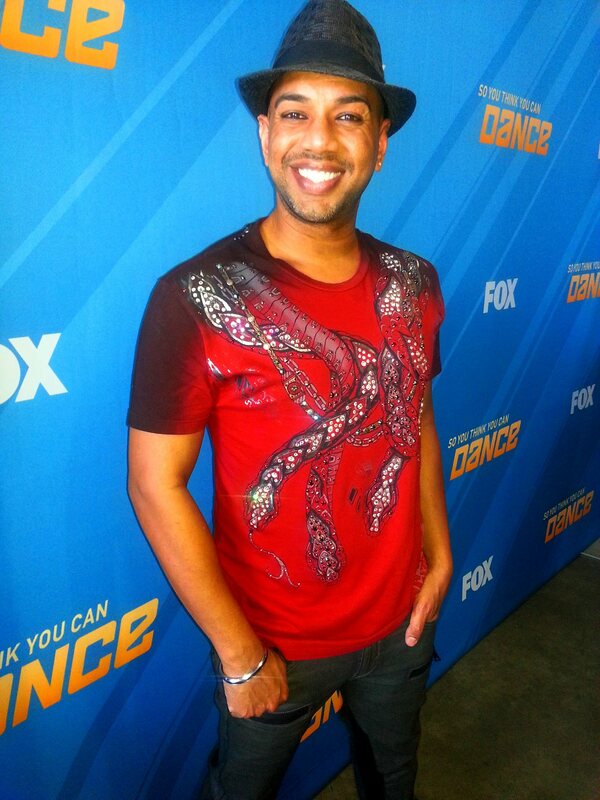 Looking back over season 11 of SYTYCD what would you say? That is a very good question. You know, I really felt it was predictable who was going to win until last Wednesday night’s show. That is my opinion. I thought it was going to be Ricky and I thought it was going to be Ricky from the moment I met him and the moment I saw him dancing week after week after week. Ricky is amazing, everything he does is solid. But there is something about that dark horse Zach. At the same time I think Valerie has won America’s heart and think America might want to see a girl tapper win the show. I think they all deserve because it is a challenge just to get to top four. We will have to find out tonight! I will definitely have one and there are talks of a second number also going on tour. I don’t know which one yet but there will be Bollywood on tour! I’m very excited. 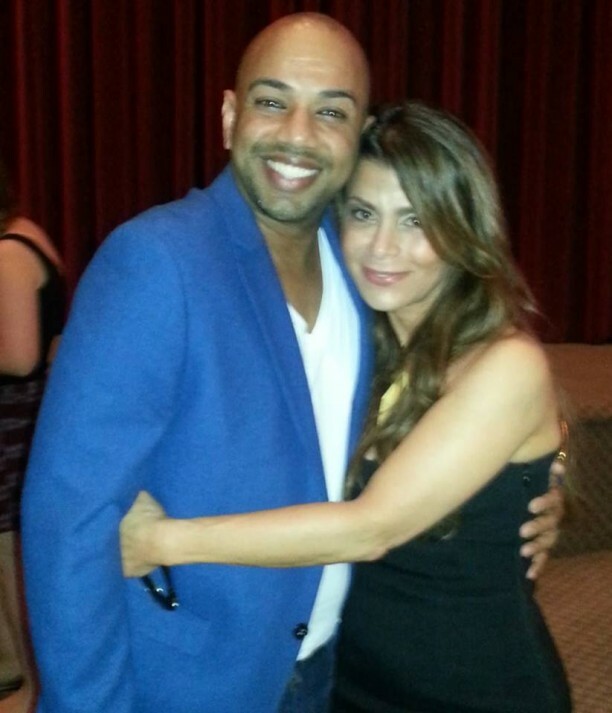 Now I am working with Paula Abdul. (You can hear the smile) Paula is doing a PSA (Public Service Announcement) with Avon for Breast Cancer awareness. The campaign is really about telling women to check themselves. Paula actually requested me! It was through one of the directors that I had worked with when I did AR Rahman’s Jai Ho World Tour. Her name is Amy Tinkham; she is really big in our industry. My name came up because one of the sections in the PSA requires something that needs my knowledge, my input and my choreography. It is amazing that my name was even brought up by Paula and Amy. Paula is part of it, it features her. I said, tell me when and where and I am there. It has been amazing. She is absolutely lovely. It is amazing. I am choreographing her, and we are working together on the piece. There is lots and lots of collaboration. I never would have imagined that I would be creating movement with her. It is unbelievable for me! We will hear more from Nakul about the PSA coming up soon! So watch this space for more!